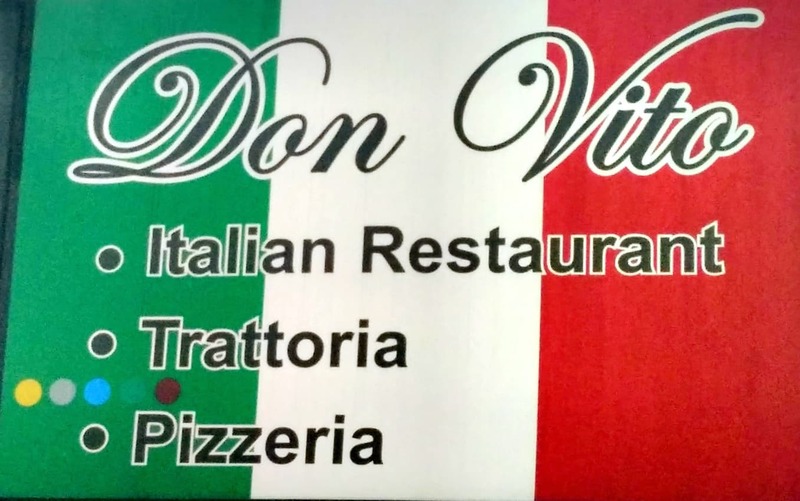 Have Don Vito Delivered directly to your door! - Select Start Rating - 1 Star - I will never eat from here again! 2 Stars - Its a bit better than starving I guess! 3 Stars - About average. 4 Stars - This place rocks! 5 Stars - OMG I FRECKIN LOVE THIS PLACE! Click here to view restaurants that are open and ready for delivery! Ham, mushroom, mozzarella and napolitana sauce. Grilled eggplant, peppers, zucchini with mozzarella cheese and napolitana sauce. Homemade bread sliced,with mix of tomato,onion,extra virgin olive oil and fresh basil. Crab with "celery local,Red chili,onion,egg "
* Images may not reflect the actual item on the menu. Sorry, you need to be a logged in user to view the reviews. Please Select Your choices, size, options or qty.